Two games that many Android users have been patiently waiting for have finally hit Google Play. Both released over the holiday weekend, Ridiculous Fishing and BADLAND should serve endless hours of entertainment for those who download them. 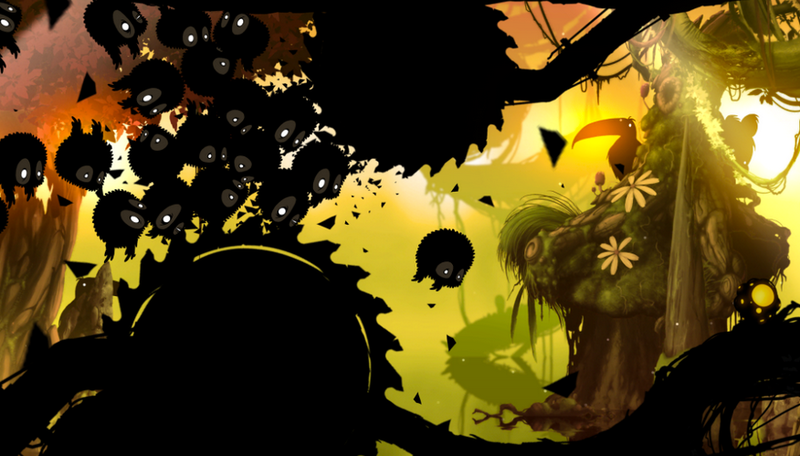 In BADLAND, you play as a black blob-like character who must make its way through various levels filled with puzzles and mysteries. The game has won many mobile awards and should deliver quite the experience for new players. As for Ridiculous Fishing, the game first launched on Android through the Humble Bundle. Now that it is on Google Play, you can grab it for $2.99. In this title, you play as a fisherman who attempts to catch as many fish as possible. You send down your lure to deepest depths of the sea, and while reeling it back up, you try to grab fish. As you progress, catching more fish becomes easier thanks to upgrades to your equipment. The game features a mellow soundtrack and plenty of old school graphics. Check them both out by following the links down below.